Those dollar purchases really add up, but for Dollar Tree it’s just one proposed purchase that’s creating a rather substantial tab. The discount store recently announced plans to acquire its larger rival Family Dollar. Chesapeake, VA-based Dollar Tree announced Monday that it would acquire Matthews, NC-based Family Dollar for a whopping $8.5 billion, CNNMoney reports. Combined, Dollar Tree and Family Dollar have more than 13,000 stores and annual revenues of $18 billion, propelling the combined company ahead of current dollar store leader Dollar General which operates 11,000 stores and has $17.5 billion in revenue. 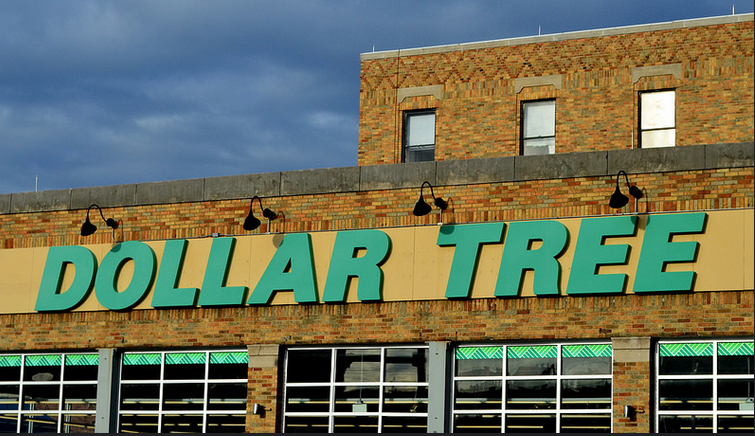 Officials with Dollar Tree say in a news release that the company will continue to operate under both brands when the merger is completed in early 2015. Dollar store chains experienced a period of high patronage during the recession when consumers traded in shopping trips to big box retailers for those at discount joints. Companies, such as Family Dollar and Dollar General, took their popularity as a sign that consumers needed more stores, and a dollar store bubble was born. It appeared that bubble may have been on the verge of bursting earlier this year when Family Dollar announced it would close 370 stores, reduce staff and cut prices on more than 1,00 items. It’s unclear if the proposed merger would change any of those plans.